Did you know that low indoor air quality has a grave impact not only on your health but your mood as well? Studies show that your indoor air can be thrice dirtier than your laundry. Think of the dust, dirt, chemicals from fragrances, cleaning products, building materials, exhausts from cars, cooking devices and many more. All of these are culprits of unhealthy air inside your home. 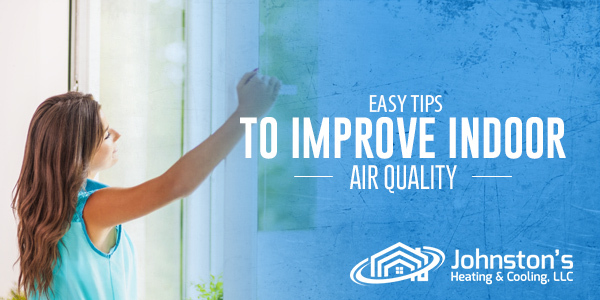 Check these convenient tips for improving the quality of your indoor air. To maintain a clean and safe indoor air, you have to make sure that no outside dirt enters your home and everything inside is sanitized. Here’s how to make it possible. Leave your shoes on the doorway to minimize the dirt traced from outdoors. Put walk-off mats on all entrances of your home. Wash your beddings including the sheets, pillowcases, and comforters at least twice a week to prevent dust mites. Invest in HEPA vacuum cleaners for efficient dust removal. Keep your appliances and furniture dust-free. Go for low-emitting products – those with GREENGUARD and Green Seal labels are acceptable. Always choose natural or organic products. Limit yourself from using solvent-based cleaners or chemically-produced cleaning products. Do certain activities like painting, rock polishing, paint stripping outdoors. These activities may produce a high level of pollution that can affect your physical health. Do not allow moisture to develop indoors by keeping your home dry at all times. Install humidifiers and clean them frequently. Remove the spill of water or any liquid material immediately. Do not leave it on the floor for long hours because mold can grow out of it. Open your bathroom exhaust while taking a shower. Another important reminder: do not put carpet in your bathroom because moist may buildup instantly. Do not over-water your indoor plants because they can encourage the growth of mold. Ensure your air filters are in place. Do a monthly inspection or cleaning on the filters to keep a clean indoor air. 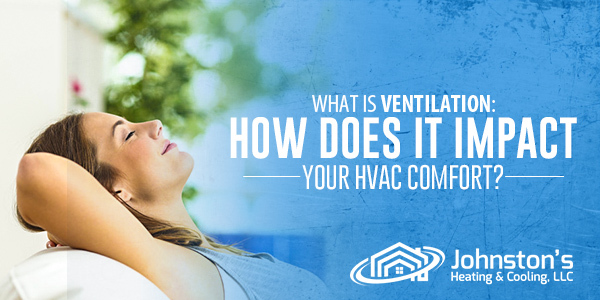 Keep your doors and windows open to allow natural ventilation. But, beware of outdoor allergens that may leave your indoor polluted. Invest in mechanical air systems. If you are concerned with your indoor air quality, you should always ask help from people who know better than you. Contact us at Johnston’s Heating & Cooling for expert help. We are here for you.